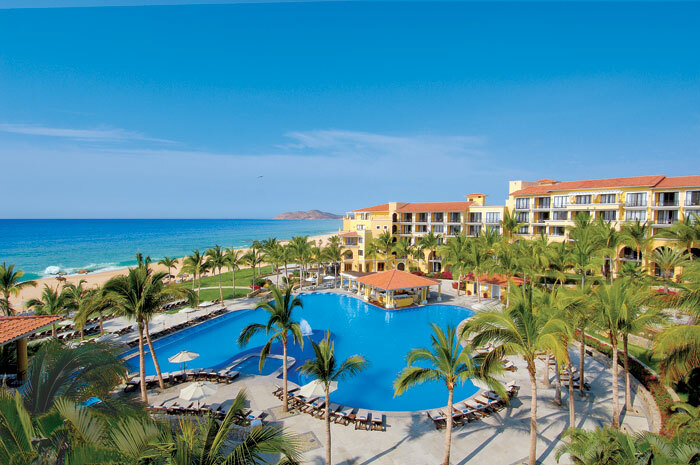 Plan your winter “Greataway” to Dreams Los Cabos! How would you like to trade those snow boots in for flip-flops? Beat the winter blues with a tropical vacation to Dreams Los Cabos Suites Golf Resort & Spa in beautiful Baja California Sur! Experience Unlimited-Luxury® with gourmet dining at 6 restaurants, 24-hr room service, unlimited top-shelf spirits, pristine swimming pools, our world-class Spa by Pevonia and so much more. Start off in your luxury suite, tastefully decorated in traditional colonial Mexican design, and be sure to take time to enjoy the stunning ocean view from your private balcony or terrace. Experience a variety of delicious dining options including Mediterranean specialties, authentic Asian cuisine and fresh seafood. 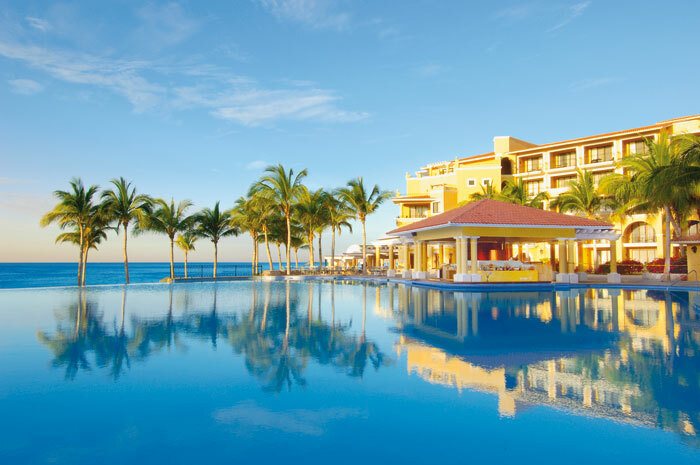 Sip your way through Dreams Los Cabos with five bars and lounges, including swim-up pool and oceanfront bars, all featuring international and domestic top-shelf spirits, fine wines and ice-cold beer. At Dreams Los Cabos, your day can go in whatever direction you desire! Soak up some rays by one of our pools or our private stretch of beach. Curl up on a beach blanket and enjoy a movie under the stars. Tee off at one of eight nearby professional golf courses. Spend the day getting pampered at our Spa by Pevonia. The possibilities are endless! Book your winter Greataway today and enjoy up to 40% savings plus, up to $400 in resort coupons on your winter vacation when you reserve your stay by February 25 for travel between January 4 and April 18, 2014! What are you waiting for? Come experience true paradise at Dreams Los Cabos! This entry was posted in Dreams Los Cabos and tagged Dreams Los Cabos, Promotions, Winter getaway. Bookmark the permalink. ← Redefined Luxury at Dreams Palm Beach Punta Cana!